Verizon started training their employees today (yesterday at some stores) on the HTC Thunderbolt and from the sounds of it, things are still on track for mid-February. 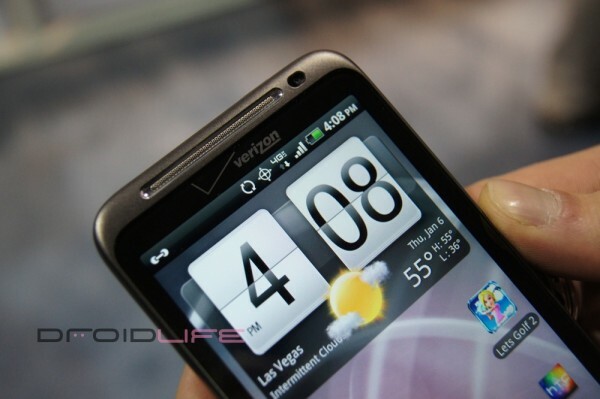 HTC reps still aren’t ready to confirm a date yet, but they were willing to mention next month as the current target. They also got up in front of the VZW reps and demoed simultaneous data/voice on their 4G LTE network, which our guys can’t stop talking about. And reps were allowed plenty of hands-on time with the device, which means we’re getting that much closer. February is 5 days away. Update: Our guy says that somehow during the demo, data/voice was done simultaneously over 3G as well. We were skeptical at first to believe it, but Phandroid received a similar tip that it may be some new type of radio. If that’s the case, AT&T may be ridiculously screwed as that was one of their last arguments for keeping i*hone users.